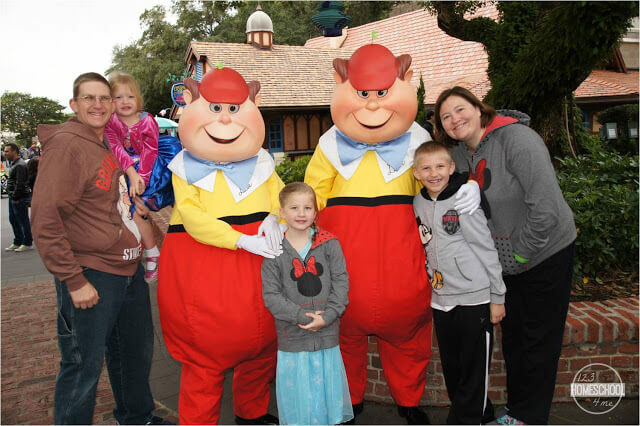 You have probably been dreaming of and eagerly Disney World Planning Although there are definitely ways to save money at Disney World, it is expensive and you want it to be a wonderful, magical trip with memories to last a life time. Here are some common first timer mistakes you will want to avoid. If you visit Nov-Feb there could be an unexpected cold snap. One year we had actual snow flurries (not Disney created)! In those cases we were glad for jeans, jackets, hat and mittens! If you are traveling in these months make sure to check the extended forecast and pack accordingly. Disney World is a popular travel! During spring breaks, holidays, and summer vacation the park is very crowded. While Disney does it’s best to add extra character interactions, entertainment, and make the ques as fun as possible, you will wait longer and move with the masses if you travel at those times. 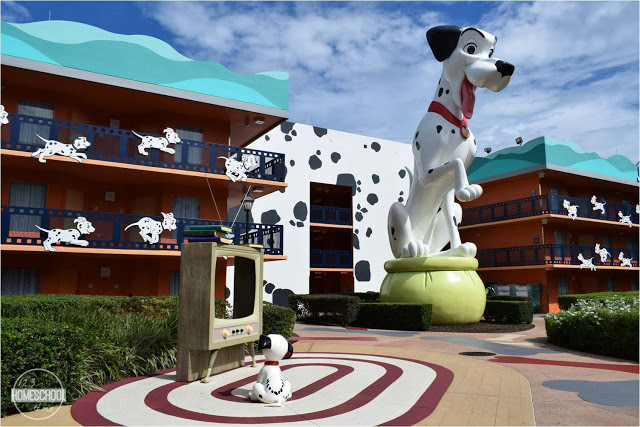 Disney World is no ordinary sleep in and relax vacation – it you want to avoid long lines and crowds you will want to be strategic while at Disney World. First of all DO NOT SLEEP IN! The shortest waits and most mild weather you want to be at the park when it opens, then around lunch time feel free to head back to your hotel to take an afternoon nap or swim while the parks are the most crowded and unbearably hot. Or plan to sleep in and go in late. Our favorite time at Disney World is at night using these tips for magical nights at Disney World. HINT: If you head to Disney World during non-peak season the parks have shorter hours anyway so “when it opens” may be a very reasonable 9am! Disney has come a long way from the traditional amusement park burger, hot dogs and pizza. They have some AMAZING food and variety. 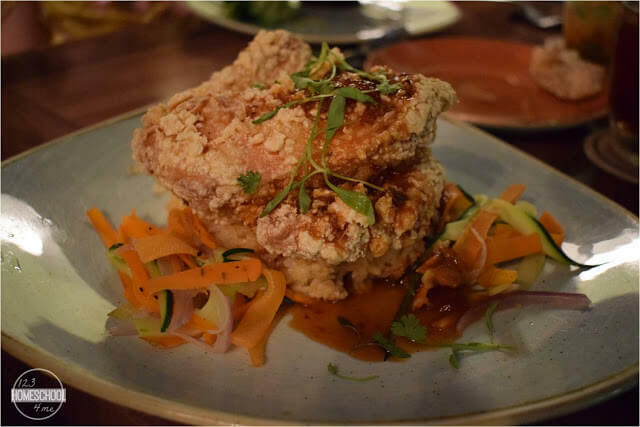 Whether you are going to get the free Disney dining plan or just want to enjoy some fantastic meals while at Disney World, you will need to plan ahead to get into the most popular restaurants. Take a peak at bestDisney world restaurants and then make sure you book 180 days in advance. HINT: If you have a Disney World reservation you can start booking 180 days from your arrival date + up to 10 more days giving you the advavntage of actually booking 190 days in advance!! lines and with a minimal wait go right on your chosen attraction. Here is how to set-up your Fastpass+. Plan on waiting at least 20 minutes for your bus to arrive and another 20 minutes to get to your destination. During peak times like park opening/closing make sure to add extra time in case the bus arrives full or there are no seats (if you must sit). If you are going to another hotel, waterpark, or downtown Disney make sure to add even more time as you will need to go from hotel to park to hotel or hotel to park to waterpark. That extra transit time means 2 waiting times and 2 driving times – allow 90 minutes for those routes. Like I’ve already mentioned your entire trip can be adversely impacted if you forget to make dining reservation or select Fastpass+ in time. (Here is how to plan a trip to Disney World step by step) But, let’s be honest, there is a LOT do to at Disney World. You can’t possibly do it all on your first trip. Knowing as much as possible will help you choose the activities that are the best for your particular group. Make sure to take a peak at our park guides: Magic Kingdom Park Guide, Epcot Park Guide, Hollywood Studios Park Guide, and Animal Kingdom Park Guide. Many 3-8 year old girls will wear a princess dress during their trip. 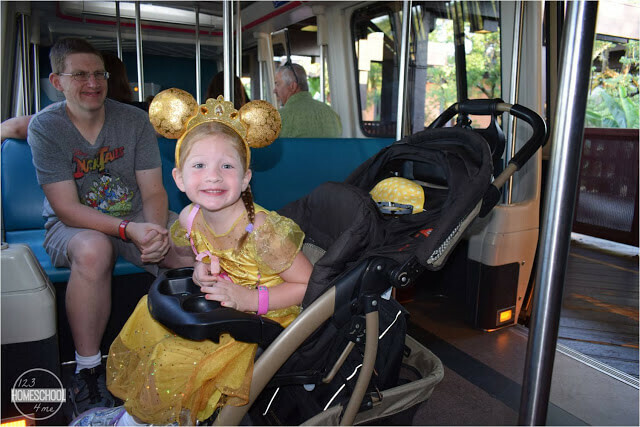 Disney cast members (including bus drivers) will make a big fuss over these little princesses and they will feel like royalty. I can’t tell you how many parents I’ve seen, in an attempt to calm a child upset that they don’t have a princess dress like the other girls, buy an over priced princess dress at the parks. In stead of buying a 100 dress, get a $19 dress from Walmart or a $5 garage sale princess dress. Disney pins are fun to trade. I highly suggest getting a large bundle on Ebay before you go (spending about $1/pin versus %5-10 a pin in park). Kids can then trade them with employees all throughout the park with pins. The green lanyards are only for kids to trade. This helps keep kids happily moving in the hot afternoon walking, is like a fun scavenger hunt, and makes a fun souvenir. HINT: Managers have the BEST pins. While not planning carefully can really limit your options on your vacation, over planning can make your trip STRESSFUL!! My advice is to plan ahead; before you go. Print out one of our free park specific touring plans. Then when you get to Disney – STOP PLANNING! 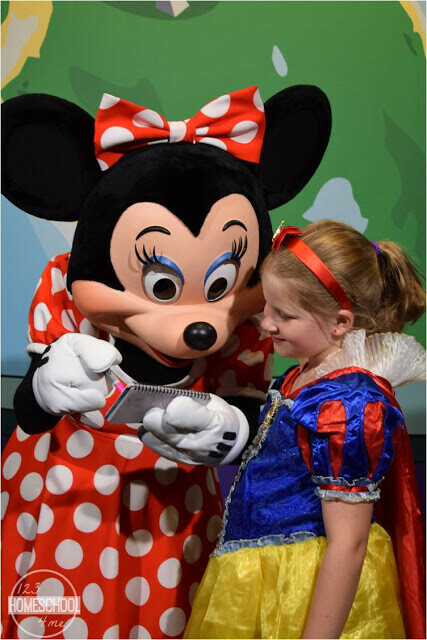 Once on vacation just follow the plan you made, but make sure to take time to enjoy the moment, laugh, stop to look at the neat things all around Disney World, make an impromptu visit to you child’s favorite character that made a surprise appearance. Remember – this is your vacation – enjoy it! A trip to Disney World is fun, exciting, and magical but NOT relaxing. You will be waiting in lines, fighting crowds, and walking A LOT! That doesn’t mean it is isn’t fun and wonderful, but don’t expect to go back rested like going on a Disney Cruise! You might assume just because your 5 year old doesn’t use a stroller at home that you wont need one at Disney World, but you would be wrong. Disney is HUGE and your child will be standing waiting in lines and then walking all over the park. Bringing an easy-to-push stroller will make you both happier. a stroller will save your back!! As much as you might be inclined to rush from ride-to-ride or keep your kids moving I urge you, implore you – STOP RUSHING!! The most magical days at Disney are led by your family. Stop to look at Disney’s creative theming, giggle at your last character interaction, buy everyone an unexpected (and much needed) cold treat, and stop to smell those proverbial roses. Enjoy the amazing shows at Animal Kingdom (they are worth the wait and the time to see) and wander through the Gorilla Falls Exploration Trail for some amazing up close animal encounters, take time to watch the AMAZING Chinese Acrobats at Epcot, take time to enjoy an amazing meal at SciFi Diner at Hollywood Studios, and don’t rush right onto Dumbo, but allow kids to play in the air conditioned Dumbo themed playground before rushing on. Trust me, those are the moments you will remember, treasure! You take too many picture and don’t enjoy the moment! Don’t be the Mom who is always behind the camera snapping away, but forget to just have fun and PLAY! My advice it to take pictures and capture the moment, but make sure you are spending at least 75% of your time just enjoying the moment. Plus kids are more likely to smile for pictures when their are fewer of them! You forget to capture the moment to relive it later! Make sure you take pictures you can look back through and relive the moments; remind kids how much fun they had! But unless you are putting together you own brochures, you don’t need pictures of every ride, restaurant, and parade. Take pictures of your kids with Disney World as a backdrop. 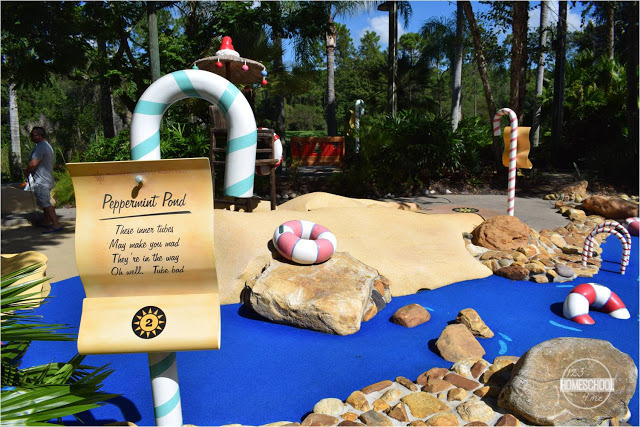 Sometimes we just don’t have any more PTO so we can’t stay longer, but if you can – I recommend you stay as long as possible to be able to relax during your vacation and enjoy things like your resort pool, movies by the pool, water parks, amazingly themed mini golf, and sleeping in. Plus the longer you stay (up to 10 days) the tickets get cheaper and cheaper per day. Adding a day to 7 day tickets is only $10 per person more!!! CHA-CHING!